Established way back in 1997, Regal Furnishing is still one of the leading caravan upholstery specialists around two decades on. With time comes experience and in this duration, we have transformed and restored thousands of caravans, so it’s pretty safe to say that we are experts in the field. If your caravan is screaming out for a new lease of life with brand new upholstery, you’ll find the solution when you come to Regal Furnishing. We have a huge selection of fabrics and fillings for you to choose from meaning you’d be hard pressed not to be able to find something that you instantly fall in love with. We’ll guide you through the fabric room and introduce you to the various styles, colours and designs on offer to help you make the right decision for your vehicle. Leisure vehicles were designed to open up a world of travelling options. We believe that this should be as true now as it ever was, regardless of the age of your vehicle. If it can still go, you can explore. 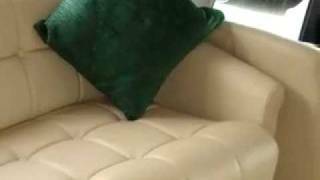 If you’re put off by the appearance inside of your vehicle, caravan reupholstery can set you free once again. Achieve the original appearance of your caravan or go in a completely new direction with your interiors. Whatever your plan, let the team here at Regal get you on the path to adventure and fun times out on the road once again. Our incredible range of materials comprises of appealing and elegant options. Along with our dedicated and experienced caravan upholsterers, the fantastic choice on offer helps to make sure that our high standards and your expectations are comfortably met. Whether you need shaped, button, piped, plain or boxed cushions, we’ve got you covered. Even if you only need zips repaired, we’d be more than happy to assist you in getting the most for your leisure vehicle. 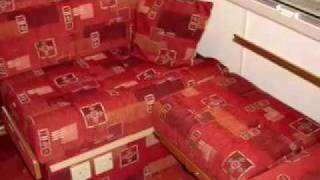 If your caravan upholstery is still in good condition and you only require your cushions to be refilled, we can sort this for you, too. We use high quality, high density foam for all of our cushions and all materials used in the process conform to the latest British fire regulations to ensure safety and peace of mind. 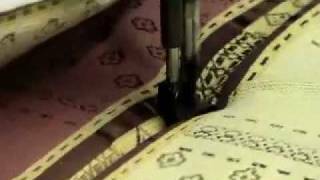 Regal is home to some of the finest caravan upholsterers around. Whatever your needs and requirements, you can be sure that you’ll find a premium caravan reupholstery service right here. We ensure that you get exactly what you want for a cost effective yet incredible restoration of your tired cushions and upholstery. Our service is extremely fast and efficient and we are able to transform your caravan upholstery in as little as just one day. We get to work on your vehicle first thing in the morning and by 4:30pm, your interior will have been totally transformed from the tired, old and worn out upholstery to a brand new, professional and clean arrangement. If you are looking for a way to reinvigorate your caravan upholstery and be given licence to enjoy travelling in luxury and class, get in touch with us today and find out what we can do to help. We want to make every aspect of your caravan upholstery project as simple and straightforward as possible. Regal Furnishing is delighted to be able to offer a complimentary overnight hook-up for those who wish to use it for added convenience. To get the ball rolling in getting your vehicle back to its aesthetic best, talk with us today. Whatever the make and model of your van, our expert team can breathe new life into your vehicle and give you the freedom of the road once more.